Launceston will become the country’s first gigabit city, thanks to a rollout by local telco, Launtel. With the flip of a switch at 11 am AEST on 30 May, Launceston will become the country’s first gigabit city, thanks to a rollout by local telco, Launtel. The company is giving the local business community 100 per cent National Broadband Network (NBN) fibre-to-the-premise (FttP) connectivity that it said will enable Gigabit speeds at commercially viable rates. The idea was spawned at a Tasmania’s Breath of Fresh Air Festival in November 2016. The event began as a film festival in 2010 but has since expanded to include the innovative Tasmania awards, which give accolades for innovation in business, government and community. During the festival, a day spent where attendees discussed the opportunities given the area due to the unique way the National Broadband Network (NBN) is being rolled out. The city Launceston is on an all fibre connection and was one of the first in the country to get connected. 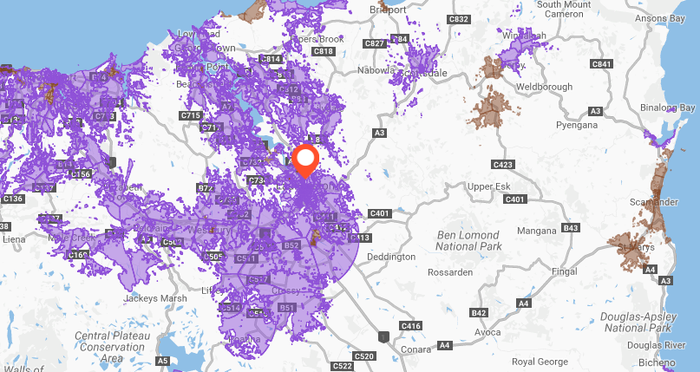 The city centre is on a fixed fibre connection while the surrounding suburbs are all on fixed wireless, according to nbn co’s national rollout map. While some ideas were discussed, none resonated until Launtel managing director, Damian Ivereigh, floated the notion of a gigabit internet connection for the city. The other participants enquired whether this was achievable and after running the numbers and calculating how many local business customers the company would need to acquire for the scheme to be viable, the company had a plan of attack. By February 2017, Ivereigh and team had moved to execute the plan but there was still one critical factor which needed to be addressed, price. "The big break for us came when we managed to negotiate a better price for bandwidth on the network," Ivereigh explained. Initially the company estimated it would need approximately 400 businesses to sign on to the network to make it commercially viable. However, with the new pricing deal, the company was able to continue with the project and relying on a smaller number of customers. Following this the company decided to alter its original pricing model to increase the cost but greatly improve bandwidth for customers. The service is priced at approximately $1000 per month. 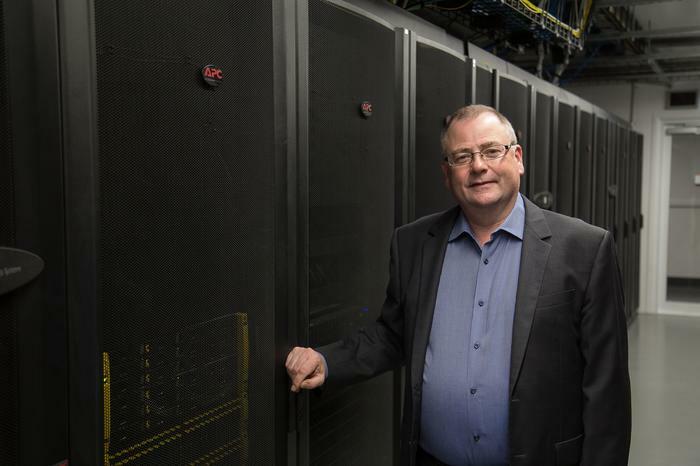 “With speeds that match the world’s fastest countries such as Singapore, Hong Kong and Japan, Launceston businesses can expand by trading with the world,” Ivereigh said. Ivereigh added that Australian business has been held back by internet speeds that are still playing catch-up. Ivereigh said he was confident that Gigabit Launceston can attract more companies and employment to Tasmania. Using the example of US city Chattanooga Tennessee, where a gigabit connectivity infrastructure and subsequent economic boom has led to wage growth in line with capital city levels and young people returning to the city as more companies roll into town, Ivereigh said that Tasmania can achieve similar results. As part of the rollout, Launtel will provide its Blue Ocean Gigabit connections to any business with a pure fibre NBN connection, which is 10 times faster than the former maximum and 100 times faster than the national average. Launtel said its low contention ratios enable a file to be downloaded faster from the cloud than from a USB stick. “We are providing a service that is so fast that internet speed is no longer a limiting factor in business productivity,” Ivereigh added. A change of Federal Government and subsequent political decisions saw the rollout change for parts of Tasmania and almost all the Australian mainland to be fibre-to-the-node (FttN), which connects to a node in a local neighbourhood then uses copper lines to take data into the premises. As has been widely reported, this approach compromised network speed, capability and reliability. 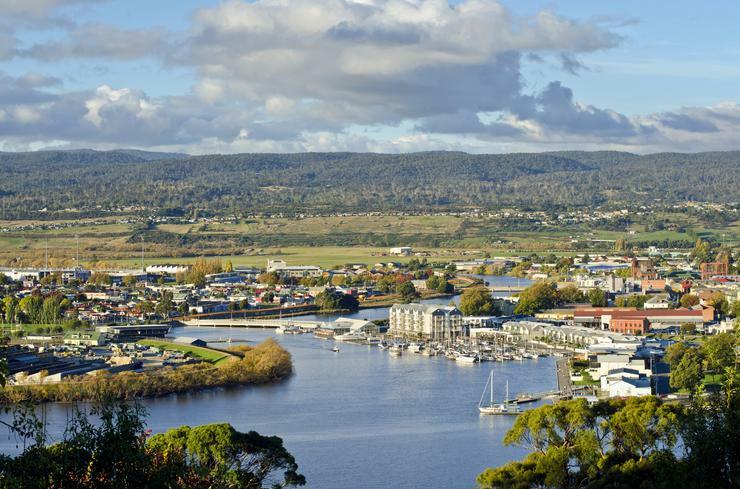 However, Launtel, by negotiating network availability through nbn, the company behind the NBN rollout, and TasmaNet, decided to take advantage of a pure fibre network and the said the results are now available to Tasmanian organisations. With this move, Tasmania becomes the only ‘smart-state’ in Australia and rockets into the national conversation by becoming an example for the rest of the country. This gigabit connectivity puts Launceston into the company of an escalating number of Gigacities that boast the world’s fastest internet, including Amsterdam, Moscow, Singapore, Toronto, Barcelona and Hyderabad.